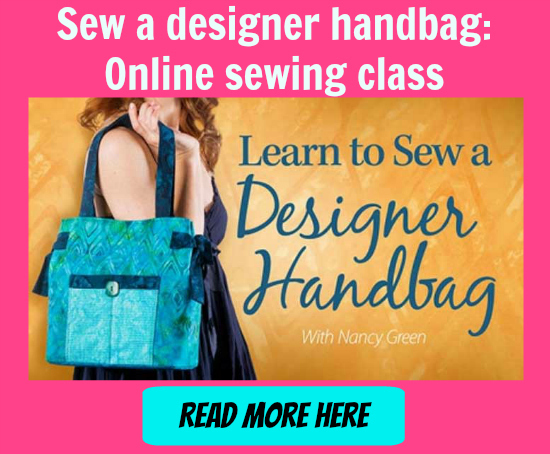 Here’s a great pattern for a bag that can be worn two different ways, either as a bag around your waist or as a bag slung over your shoulder. It’s called The Orchid Waist/Sling Bag. The bag has a main zippered closure. And if you chose the fabrics carefully this project could be unisex. When finished The Orchid Waist/Sling Bag will measure approximately 11 1/2 inches (29 cm) wide by 8 1/2 inches (21.6 cm) high. This project is best suited for intermediate sewers but a confident beginner could give it a try. This project will take around 3 hours to make.